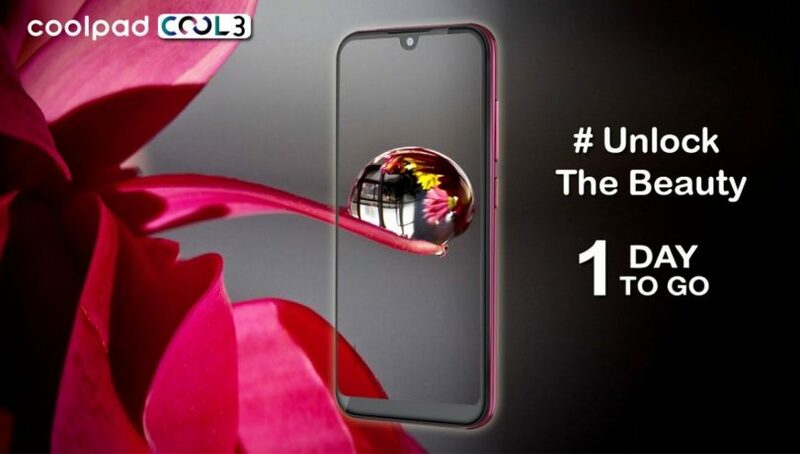 Coolpad is preparing for tomorrow’s announcement of its cheap smartphone, which will be released under the name Coolpad Cool 3. At the moment, the manufacturer has confirmed that the smartphone is running from the box under the operating system Android 9.0 Pie, which has not become the standard even for new and medium-priced and high-end smartphones. The teaser clearly shows that the smartphone received a semicircular cutout in the screen under the front camera. The screen should have a diagonal of 6.3 inches, it will be covered with a protective glass of 2.5 D.
It is expected that the smartphone will have at least 3 GB of operating and 64 GB of flash memory, as well as support for dual-SIM, 4G VoLTE, Wi-Fi 802.11 b / g / n and Bluetooth modules, microUSB connector.